The ML350 features a low profile fanless enclosure and a motherboard developed from the ground up to enable a range of customization options including expansion, connectivity and advanced Consumer Electronics Control (CEC). SOUTH BURLINGTON, VT - JANUARY 24, 2018 - With an eye toward the evolving needs of today's industrial computer users, Logic Supply (www.logicsupply.com) has unveiled the small form factor, fanless ML350 (www.logicsupply.com/ml350). Powered by Intel® Apollo Lake processing, the ML350 is a highly customizable computing platform, purpose-built from board to chassis for applications ranging from digital signage and machine automation, to industrial IoT and edge computing. "We believe computers should be designed for the people who use them," says Murat Erdogan, Director of Product Management at Logic Supply. 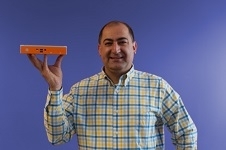 "This belief has pushed us to search for new, innovative hardware solutions - systems built from board to chassis to connect and power our clients' innovations. With the ML350, we had the opportunity to create a board and chassis combination that would provide the flexibility and configurability to accommodate a wide range of embedded and industrial IoT applications." The ML350 has been engineered to strike an ideal balance between size and performance, while allowing for optimal configuration. Redundant solid state storage, Wi-Fi/Bluetooth, 4G LTE, dual Gb LAN, dual DisplayPorts and optional expansion via CAN bus, give the ML350 flexibility seldom seen in such a compact fanless computer. "Designing the ML350 motherboard from the ground up provided the opportunity to include a few commonly-requested features," says Erdogan. "The system's two mPCIe and one mSATA slots give users the freedom to select the expansion and connectivity they need, like concurrent 4G and Wi-Fi, and we also wanted to include capabilities that would be well-suited for the applications that might employ the ML350, like CEC for digital signage." Consumer Electronics Control (CEC) allows connected devices to exchange information, enabling users to control multiple devices with a single interface. In practice, the ML350's optional multi-screen CEC capability means that users can control the on/off state of attached displays through the system, drastically simplifying power management in, for example, industrial digital signage applications like restaurants, outdoor digital billboards or transportation hubs. For more information, full specs and pricing or to configure the system online, visit www.logicsupply.com/ml350, or contact a Logic Supply Solution Specialist directly at +1 802-861-2300 in the US or +31 (0)85 2733760 in Europe. About Logic Supply: A global industrial PC company focused on hardware for the IoT edge, Logic Supply designs highly-configurable computers engineered for reliability. Their systems operate in the harshest environments and power innovation in the evolving Internet of Things. Fueled by a unique direct-to-customer business model that combines vertical integration, modular product design and a powerful online platform, Logic Supply offers computers “designed to last, built to order, and delivered in days.” Founded in 2003, the company has served over 60,000 customers. Logic Supply has offices in North America, Europe, and Taiwan. Learn more about why innovators choose to "Build It With Logic" at www.logicsupply.com or on Twitter @LogicSupply.